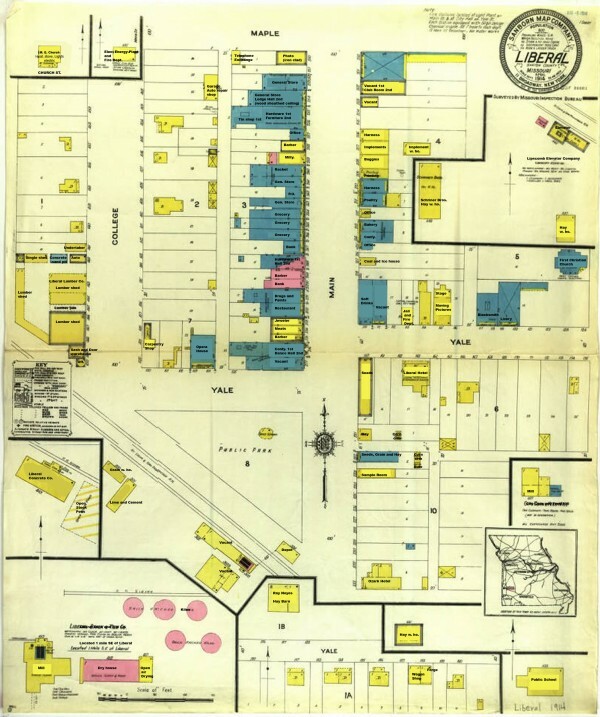 Missouri Digital Heritage has a 1914 Liberal Missouri Fire Insurance Map of the business district. 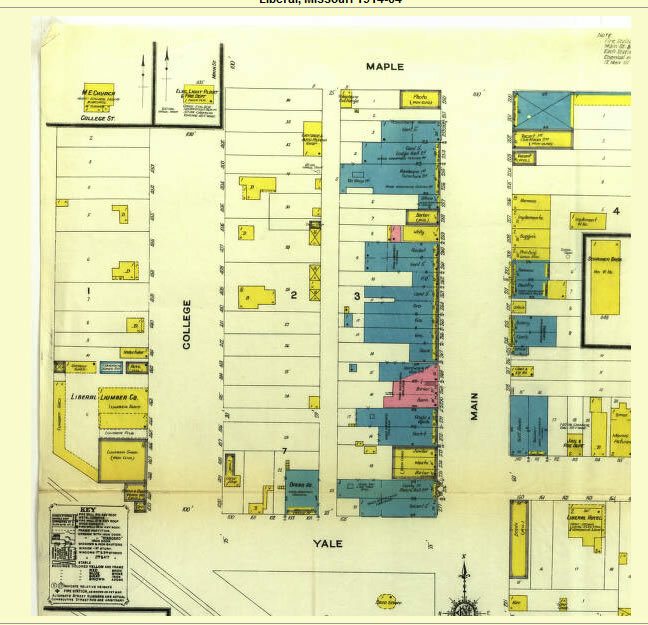 It’s difficult to navigate as in the enlargement it doesn’t show the full map, only a small portion at a time, so I took one of the larger thumbnails, in which you can’t read the businesses, and enlarged that and typed the businesses in. There are no names connected with the businesses, except (as it happens) for my ancestor, Ray Noyes, his hay barn shown. Looking around one gets a picture of the town as it was. The depot across from the public park with its band stand, and the Opera House across from that. The main street with several groceries in a row and several general shops in a row, a bakery, two confectionaries etc. There are two hotels, the Liberal Hotel and the Ozark Hotel. There’s a movie theater and stage close to the jail. There is a shop devoted entirely to soft drinks. Two banks. And many more businesses, mostly located on Main Street. One gets a nice sense of how it met the needs of the town’s citizens.